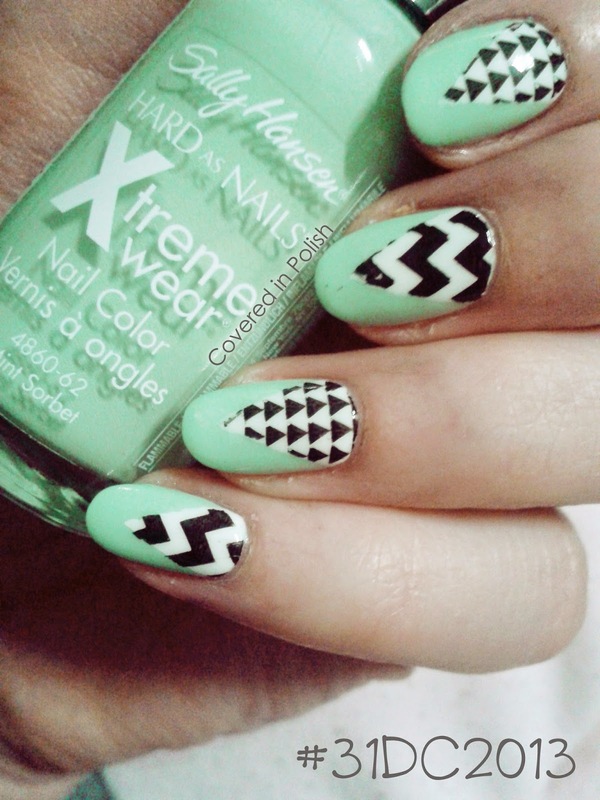 Todays challenge is Tribal Print. When I searched for 'tribal' in Pinterest, I came across a cute bikini by Mara Hoffman, which inspired me to make this nail art. Sally Hansen Mint Sorbet as a base, then I used scotch tape for the white triangle and stamped - also with the tape - using BM-423 and Essence Stamp Me! Black. I wish I had taken more pictures of this manicure, but unfortunately I had to work that day and when I came home, the manicure was all wrecked because of the activities that day. Next time I'll show; GLITTERS! 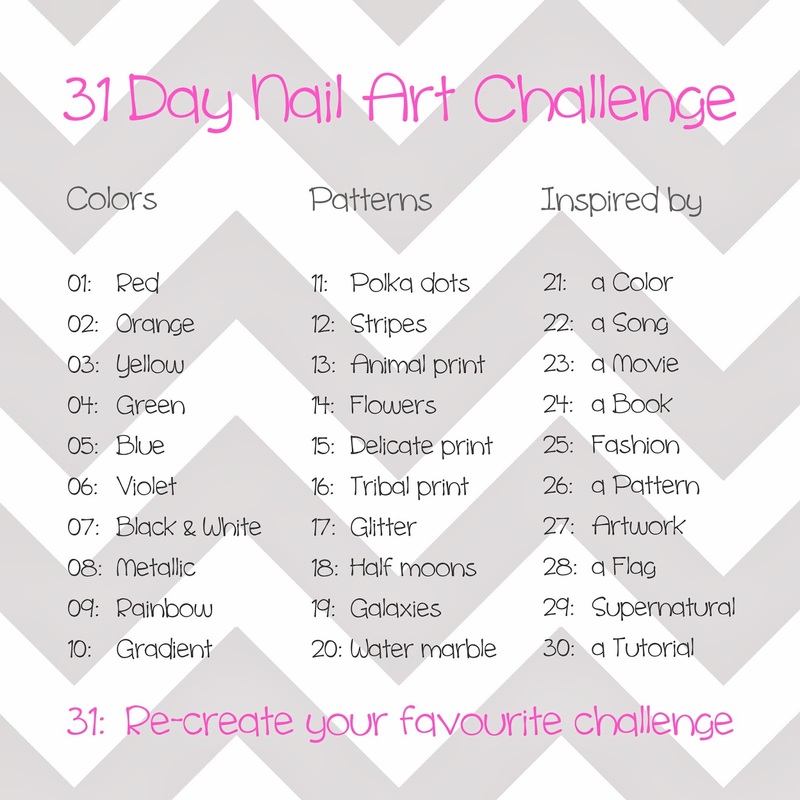 That will be a hard challenge, cause boy!, have I some really pretty glitter polishes to choose from! AND! That will be a great opportunity to review OPI Glitter Off Peel-able Natural Base Coat!